Earlier this month Honduran President Porfirio Lobo?announced?there had been nine days in 2013 (albeit not consecutive) without a recorded murder in Tegucigalpa. He lauded the statistic as “historic,”?saying,?“before we were always talking about two digits; there were more than 30 murders. Today we have many days at a national level with only one digit.” He attributed this to military presence and police reform, which he claimed was “pushing out those who ought to be pushed out” of the police, despite reports that only seven members of the 11,000-member force have been fired. “How am I going to take the military off of the streets if the work they have done is extraordinary?” he asked journalists. However, it is unclear if there has been much of a change. According to the National Autonomous University Observatory of Violence, from the start of the year through May 31 of 2013 there were an?average?of 20 murders per day in the country. The?Honduras Culture and Politics blog?used this average to calculate projected murders for the whole year and found the country could expect 7,140 murders for 2013 if the rate remains constant. This would yield a murder rate of about 85 or 86 per 100,000 (depending on population growth), about the rate that the Observatory found in 2012. For 2013, the University’s Violence Observatory predicted that the homicide rate could fall by six percent, although, as?InSight Crime?noted, the prediction had more to do with population growth than a decrease in violence. In February, the Honduran government launched?“Operation Liberty”?with the deployment of 1,300 troops — 800 to the streets of Tegucigalpa, the capital, and 500 to San Pedro Sula. The armed forces will remain on the streets until January 2014.Two months into the operation, an official from the 105th Brigade?claimed?crime had dropped 60 percent, while the police department claimed crime had fallen 10 percent. Similar claims of drops in homicides and capture of gang leaders were reported again in June. However, sources?failed?to explain what kind of crimes they referred to and over what time period they were reporting. In early June, Honduras’ Congress?approved?a $4.4 million plan to add 1,000 more troops to fight organized crime, money that some members of Honduras’ Congress thought would be better spent on police. On June 7, the line between military and police became even more blurred when the Congress?merged the responsibilities?of the Ministry of Defense, which controls the military, and the Ministry of Security, which controls the police. The vice minister of security is also a retired member of the military, as are a number of?security advisors?in the government. In addition to worries of corruption and human rights abuse, analysts have expressed concern over the institutional implications of involving the military in domestic security. The Congressional Research Service’s latest?report on Honduras (pdf)?highlighted worries that the military has started to play a larger role (again) in domestic politics. Before 1982 the armed forces repeatedly took control of the country and only in the late 1990s were they subordinated to civilian leadership. The military has also played a central role in major recent political shuffles. It?led?the 2009 coup of President Zelaya and in December 2012, troops?guarded?the National Congress when it voted to dismiss members of the Supreme Court. The day after, military commanders?appeared?publicly with President Lobo. In 2011, members of the Honduran Congress?approved?a reform to the constitution allowing soldiers to assume police duties and be used “on a permanent basis in the fight against drug-trafficking and terrorism, weapons-trafficking and organized crime.” As noted above, several former military members now hold high office within the government. Honduras’ military has been cited as worse than the police for its human rights violations, as it has been?linked?to extrajudicial killings, kidnappings, drug and arms trafficking and extortion. One such example can be seen in the Army’s 15th Battalion, which?receives?U.S. assistance, that has control over the rural Bajo Aguán region, where?over 60 people?fighting for campesino land rights have been killed in the past three years. Because of the military’s history of corruption, murder, and links to organized crime, experts have warned that putting boots on the streets could?increase corruption?in the institution by giving soldiers greater opportunity to?become?even more involved in narcotrafficking. This is compounded by the fact that there is almost near-complete impunity for state security forces in a highly-politicized judicial system. In mid-June 21, U.S. senators?sent a letter?to Secretary of State John Kerry asking that the State Department “conduct a thorough review to ensure that no U.S. assistance is provided to police or military personnel or units credibly implicated in human rights violations,” as it questioned the release of aid to Honduras in 2012. Despite these alarming statistics, the United States continues to fund the police (and military). William Brownfield, Assistant Secretary of State for International Narcotics and Law Enforcement Affairs, rationalized continued aid, saying, “Although the national police may have its defects at the moment, it is the lesser evil,” according to the?Associated Press. The statement came following several Associated Press reports on Honduran police corruption that also document U.S. funding for police units, which has reached about?$16 million?this year. Currently, Congress is?holding up?$10.3 million in funding to Honduras because of security forces’ questionable human rights record. While there is legislation that puts some human rights conditions on military and police aid to Honduras, as Lisa Haugaard, Executive Director of?Latin American Working Group?pointed out in an?interview with Free Speech Radio News, there is a large loophole: the conditions do not apply to funding for counternarcotics assistance to fight drug trafficking and related violence. In a country like Honduras, through which?40 percent?of cocaine that reaches the United States is said to be trafficked, it is difficult to classify which episodes of violence are linked to drugs and which are not. The El Tiempo interview can be found?here, an El Espectador article expanding on the report’s findings can be found?here, and an English summary of the report can be found on the Colombia Reports?website. ?Colombian magazine Semana has a?selection of quotes?organized by topic and an?accompanying article. When President Otto Pérez Molina assumed the presidency in January 2012, he became the first career military official to hold that office in 25 years. Guatemalan security analysts say that now about 40 percent of security-related positions are held by former members of the armed forces. After taking office, Pérez immediately?calledon the army to collaborate in “neutralizing illegal armed groups by means of military power.” Since then, given the weakness and endemic corruption of the National Civil Police (PNC), Pérez Molina has relied heavily on the military to fight organized crime and contain social unrest. Currently there are over 21,000 troops?deployed?for maintaining security throughout nine states: from Huehuetenango to sectors of Quiche and Alta Verapaz,from Escuintla to sectors of Suchitepequez and Santa Rosa, and from Zacapa to sectors of Izabal and Chiquimula. In September, the Maya Task Force was?deployed?to Zone 18 of Guatemala City, with 1,200 soldiers and 100 police, representing a ratio of ten to one. A similar operation began in Zone 12 in November. On June 14, 2013 1,500 members of the military reserves were?온라인 카지노 합법 국가deployed?to Huehuetenango in western Guatemala, Escuintla in south central Guatemala and Zapaca in the eastern part of the country as part of an initiative known as the Army “Citizen Security Squadrons.” They were split into three squadrons of 503 soldiers at a cost of $15 million (119 million quetzales), according to Guatemalan news outlet?Siglo 21. 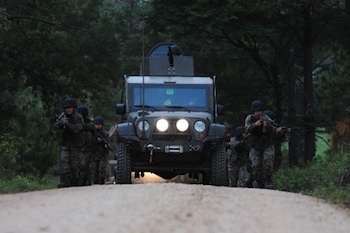 On July 1, a new military Inter-Agency Border Unit, also known as?Joint Task Force Tecún Umán? (Fuerza de Tarea Tecún Umán) began operating in zones along the border shared with Mexico. On June 28th the group finished two months of training. The U.S. also in part funds the unit. Guatemala’s army has a poor record of human rights violations and has yet to be held accountable for the abuses committed during the country’s civil war from 1960-1996, in which 200,000 people were killed and 45,000 forcibly disappeared. 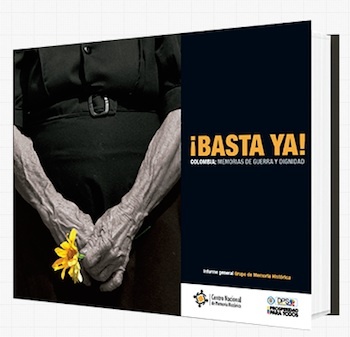 According to the Historical Clarification Commission, Guatemala’s truth and reconciliation commission, the Guatemalan state (military and government paramilitaries) was?responsible?for over 90 percent of the human rights abuses. More recently, in October of 2012, six people were killed and another 34 injured when soldiers open fired into a crowd of indigenous protestors. The military has also been tied to drug trafficking and organized crime. Brazilian newspaper O Globo?released?three?reports?this week detailing documents released by Snowden asserting that the United States has been collecting data on telephone calls and e-mails from several countries in Latin America, such as Brazil and Mexico.The reports?indicate?that the United States has not only been amassing military and security data, but also collecting inside commercial information on the oil industry in Venezuela and the energy sector in Mexico, which are state-run and essentially closed to foreign investment.The reports also?showed?that Colombia, the strongest U.S. military ally in South America, along with Mexico and Brazil, were the countries where the U.S. program intercepted the biggest chunks of information on emails and telephone calls during the last five years. Similar activities took place in Argentina and Ecuador, among others.Brazil’s President Dilma Rousseff is?demanding?an explanation for the United States’s spying and plans to involve the United Nations in an investigation of the NSA’s actions. Brazil also said that it might contact Snowden as it investigates the matter. “Mr. Snowden’s participation in an investigation is absolutely relevant and pertinent,”?said?Brazilian Foreign Minister Antonio Patriota. ?Mexico,?Chile,?Colombia?and Argentina are also?demanding?official explanations and the?MercoSur?trading bloc held a special session on Friday to discuss the U.S.’ espionage programs. More from the?Pan-American Post. Bolivia is?accusing?Spain, France, Italy, and Portugal of violating the norms and regulations of international law by impeding Bolivian President Evo Morales’ plane while it was passing through European airspace, based on a suspicion that Edward Snowden was on the plane. The?OAS expressed?the discontent of a large part of Latin America regarding the incident via a firm resolution condemning the European nations’ actions and demanding an apology. The Office of National Drug Control Policy (ONDCP) found there was?a drop?in cocaine production in the Andean region. The estimates indicate a 41 percent drop in potential pure cocaine production since 2001, from an estimated 1,055 metric tons to 620 metric tons in 2012. The largest reduction was in Bolivia, which dropped from 190 metric tons of potential pure cocaine production capacity to 150 metric tons. Unlike Colombia and Peru, Bolivia receives very little counternarcotics aid from the United States. Mexico and Argentina topped the list in Latin America on?Transparency International’s recently released list?for the most corrupt countries in the world.Corruption is something that has become inevitable and there is no field that has been spared from its spell. Trading market is also corrupted with some swindled trading platforms and it is a caution to all the traders to stay away from such ones. Legality and authenticity are the principles followed by few binary trading applications like the HB Swiss and so people should take up trading here.The report also pointed out the most corrupt institutions in each country. While politicians and political parties held the top spot in Mexico and Argentina, the police was named the most corrupt entity in Bolivia, Venezuela, and El Salvador. More from?ABC News. InSight Crime?looks at how intra-urban displacement in the country’s second-largest city, Medellin, is used as an “instrument of war” between two of the main groups vying for control over the city’s underworld: the narco-paramilitary group the Urabe?os and the Oficina de Envigado, which has largely held control of the city since the fall of Pablo Escobar and the Medellin Cartel. Uruguay’s legislature met on Monday and agreed to postpone the vote on legalizing marijuana for a period between 10 and 30 days. Dario Perez, the deputy, proposed postponing the vote based on concern that “it’s not the time” to vote on the initiative; a “period of reflection” will?take place?before the vote, which will be on Wednesday, the 31st of July. Mexico’s Secretary of National Defense Salvador Cienfuegos Zepeda announced the reinstallation of five generals who were released from prison last Friday. They had been incarcerated under former President Felipé Calderón over accusations of alleged ties to drug traffickers. A judge dropped the charges citing insufficient evidence. According to?El Proceso, this was the first time in the history of the military that high ranking military officers who had been accused of having ties to the drug trade have been given back their positions after being exonerated. In a?prominent speech?before legislators at one of parliament’s twice-annual sessions on Sunday, Cuba’s President Raul Castro scolded his countrymen for all kinds of bad behavior, including corruption, loud music, theft, public swearing, illicit logging, unauthorized home construction, and the acceptance of bribes. “When I meditate on these regrettable displays, it makes me think that despite the undeniable educational achievements made by the Revolution… we have taken a step back in citizens’ culture and public spirit.” More from the Washington Post. In response to continuing protests and discontent in Brazil, President Dilma Rousseff has proposed a package of political reforms which she says would reduce corruption and make politicians more accountable. However, as the?Economist?noted, whether the reforms pass hinges on Brazil’s Congress, in which 191 of Brazil’s 594 senators and deputies are currently under investigation for offenses ranging from minor administrative offences to drug trafficking and murder. Rousseff also?announced?Wednesday that an additional $1.3 billion would be spent on healthcare and education. Henrique Eduardo Alves, the leader of Brazil’s House of Representatives,?said Tuesdaythe proposed plebiscite that is among President Dilma Rouseff’s key responses to waves of mass protests is unfeasible. Top politicians and congressional party leaders who have also cast doubt on the feasibility of the plebiscite favor drafting political reform legislation and submitting it for a popular referendum instead, which would allow citizens to vote yes or no to a series of proposals, with legislation to be drafted based on the results. Tim’s El Salvador Blog?and?Central American Politics?both look at a spike in violence in El Salvador. This week there were over 100 homicides, prompting questioning of the stability of a year-long truce between the Mara Salvatrucha (MS-13) gang and rival gang Barrio 18. Truce mediator Raul Mijango asserts that the surge in killings is a response to changes in government policy, such as new restrictions on imprisoned gang members. However, there has been little analysis of the murders or the victims, and many questions are left open as to whether the end of the truce is really nearing and why. InSight Crime?has a post outlining the five biggest differences between the troubled Salvadoran truce and the emerging Honduran truce. The article asserts that “The one area where Honduras may have an advantage is on the mediation front,” as the agreement is being brokered by a unified Catholic Church as opposed to a divided one. A?report (PDF)?by United Nations Office on Drugs and Crime (UNODC) highlights the political connections of two drug trafficking organizations confirmed to be operating in El Salvador, according to an article in?La Prensa Grafica?and translated by?InSight Crime. The report found that the effectiveness of the cocaine trafficking and organized criminal operations of the Perrones and the Texis Cartel is owing to protection and lack of investigation from the state. The Centre for Humanitarian Dialogue published a new report entitled?“Mediating Criminal Violence: Lessons from the gang truce in El Salvador.” (PDF)?More from?Armed Groups and International Law.